USB thumb drive recovery is a typical case of data recovery. Often data on the flash drive is lost due to accidental file deletion, formatting by mistake, a filesystem failure or because your USB flash drive became raw. If the disk has no physical damage, then the recovery result should be good. All you need is to prepare some storage device where you will copy the recovered data. If the flash drive is quite small, most likely, your system drive has a couple of free gigabytes. Also, you need to download a special data recovery software – ReclaiMe File Recovery. The only problem you might face is that your pen drive is not readable due to a zero size issue. If your pen drive reports zero size (zero capacity), then it cannot be recovered using software. This is the lab job. Make sure you have enough free space on a known-good drive or on a network to hold all the recovered data. 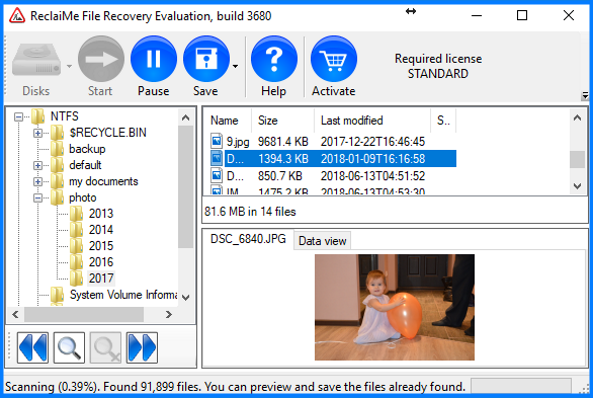 Download, install, and run ReclaiMe File Recovery software. 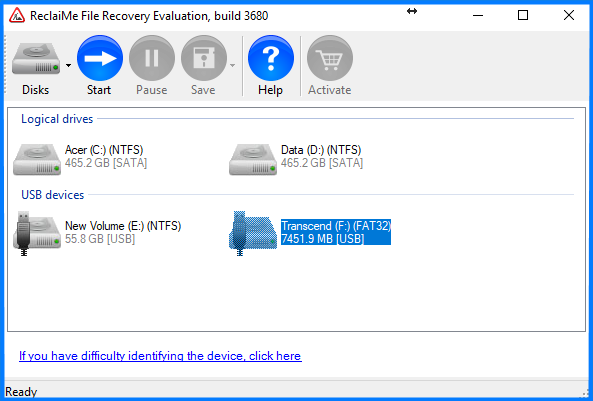 Identify the pen drive you want to recover data from in the device list. Naturally, it will be under the "USB devices" section (need help identifying your drive?). Double click the USB thumb drive to start recovery. The files are displayed as soon as they are discovered. Check the recovery result using the Preview function. For this, select some image file (like .jpg or .png) and see whether the file is displayed correctly. Purchase ReclaiMe Standard license key to activate the software. Select the file(s) or folder(s) you want to recover, and click Save button on the toolbar. Alternatively, click Save and select Save All from the menu.